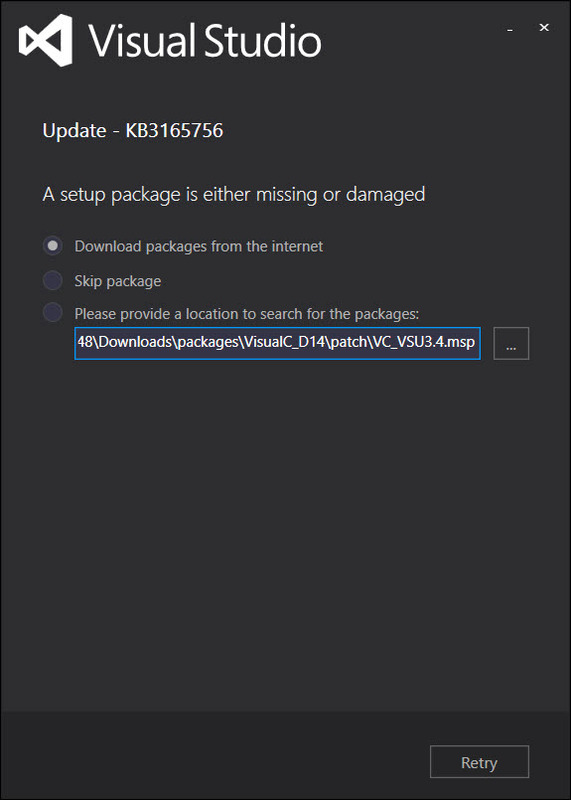 Visual Studio 2015 Update 3 – KB3165756 VC_VSU3.4.msp file is missing. It doesn’t have to just be this file, it could be others. The stupid problem is you get an error like the one above where it is claiming that an installation file is missing. Lies! More than likely you are not missing anything, just run the installer as Administrator and this should solve the problem. If you have already run the installer once and got this problem, you will more than likely have to restart your computer in order to run the installer again.